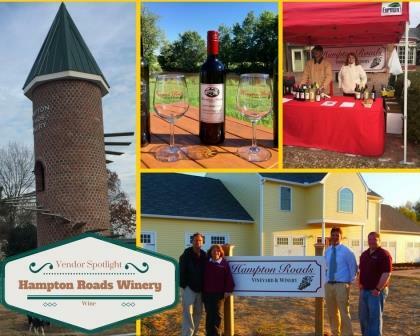 Hampton Roads Vineyard & Winery is situated in the beautiful rural area of Elberon, Virginia, just south of Surry and across the James River from Jamestown. Located at White Oak Farm where Harry Spratley first raised horses in 1898 for the New York City carriage trade, it is now where grapes are grown, wines are made, Red Angus cattle are raised, and is home to the World’s Tallest Goat Tower! David and Diane started their business from scratch – both the vineyard and winery – and since 2017 have been proud to bring their very local, value-added product to the Williamsburg Farmers Market.